Ships tomorrow if you order in the next 18 hours 56 minutes. 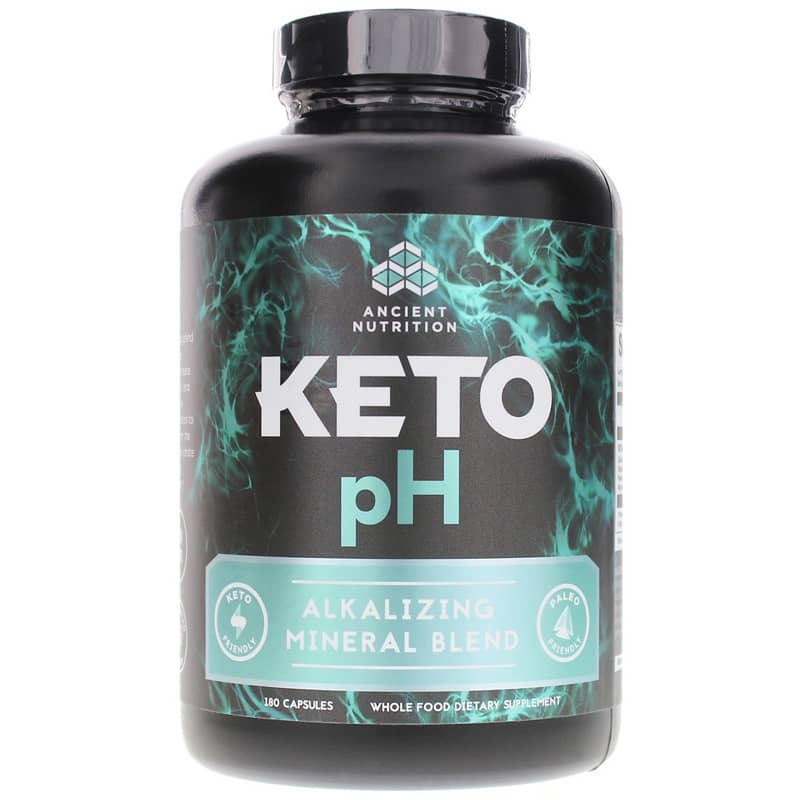 Keto pH from Ancient Nutrition is an amazing alkalizing blend containing active electrolytes, live probiotics, and alkaline-stable protease enzymes to support cellular health and an acid/alkaline balance within the body. 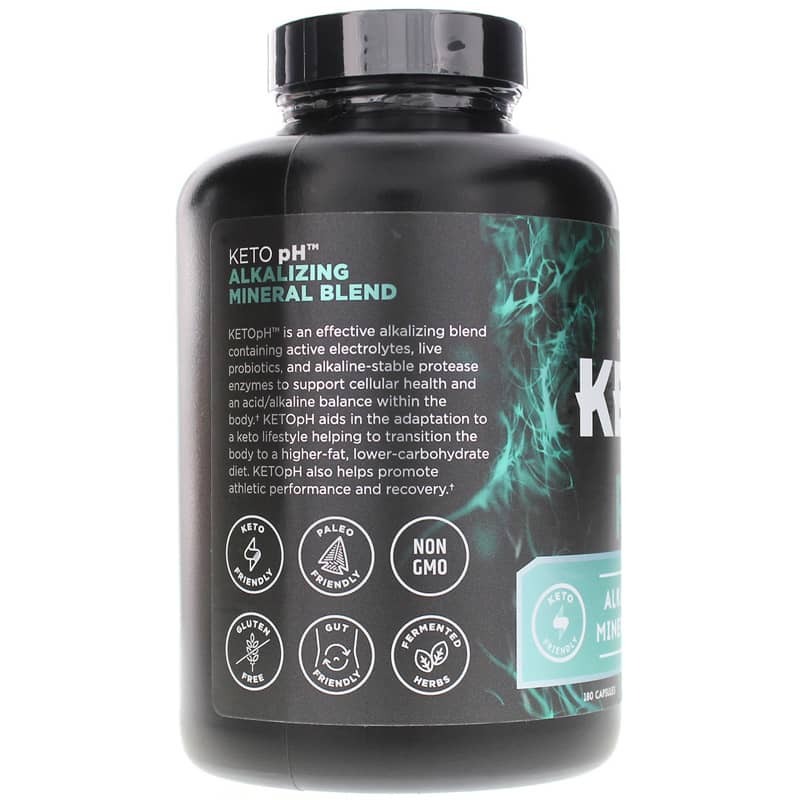 KETO pH aids in the adaptation to a keto lifestyle helping to transition the body to a higher-fat, lower-carbohydrate diet. KETO pH also helps promote athletic performance and recovery. ---Calcium Carbonate, Saccharomyces boulardii, Fermented Organic Ginger (rhizome), Organic Apple Cider Vinegar, Protease Enzyme Blend, Bacillus subtilis, Fermented Organic Parsley (leaf), Fermented Organic Peppermint (leaf), Fermented Organic Reishi Mushroom Mycelium (Ganoderma lucidum), Potassium Hydroxide, Potassium Chloride. Other Ingredients: microcrystalline cellulose, croscarmellose sodium. 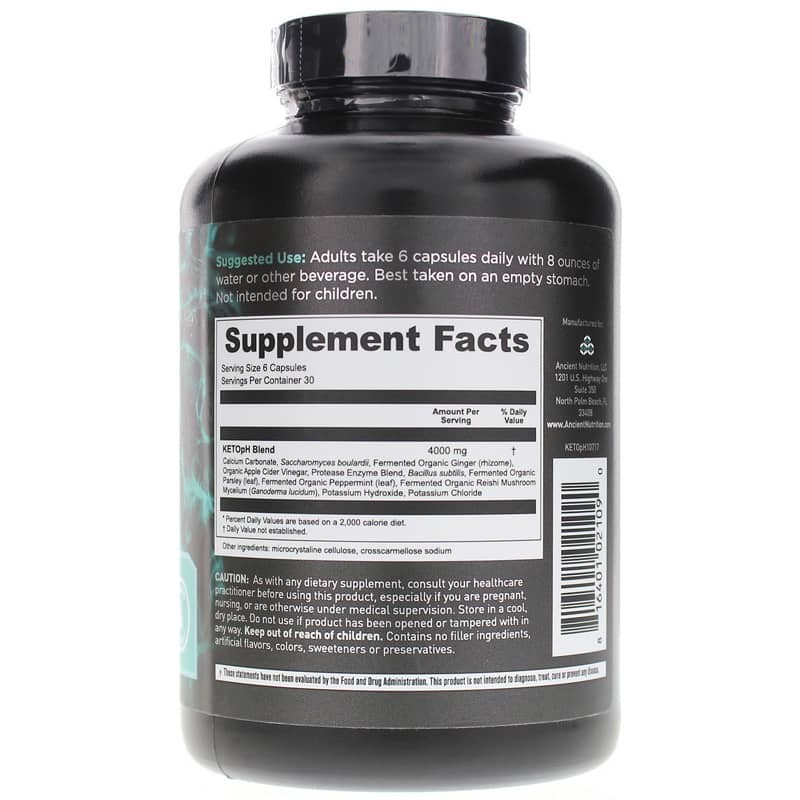 Contains NO: GMOs, gluten, filler ingredients, artificial flavors, colors, sweeteners or preservatives. Adults: Take 6 capsules with 8 ounces of water or other beverage. Best taken on an empty stomach. Not intended for children. As with any dietary supplement, consult your healthcare practitioner before using this product, especially if you are pregnant, nursing or are otherwise under medical supervision. Keep out of the reach of children.